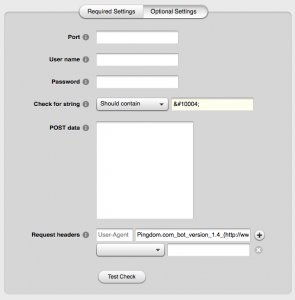 If you want to check whether the database is available, you need a database user that can access the database. I simply created a new database user without access to any databases. Be sure to update both “username” and “password” above. Be sure to update both “username” and “password” above. If the database is up, the page will print out a check mark (✔), and if the database is down, it will print out an x (✖). 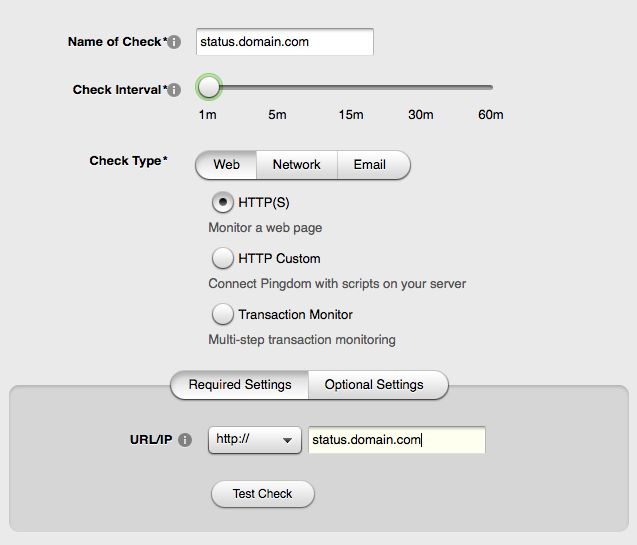 After you login to Pingdom, go to Checks and click on the Add New Check button on the left. 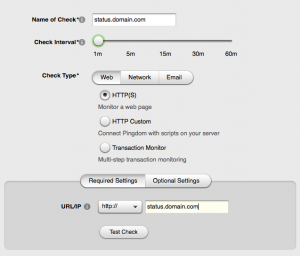 Enter a name for the check and the URL, found under Required Settings. 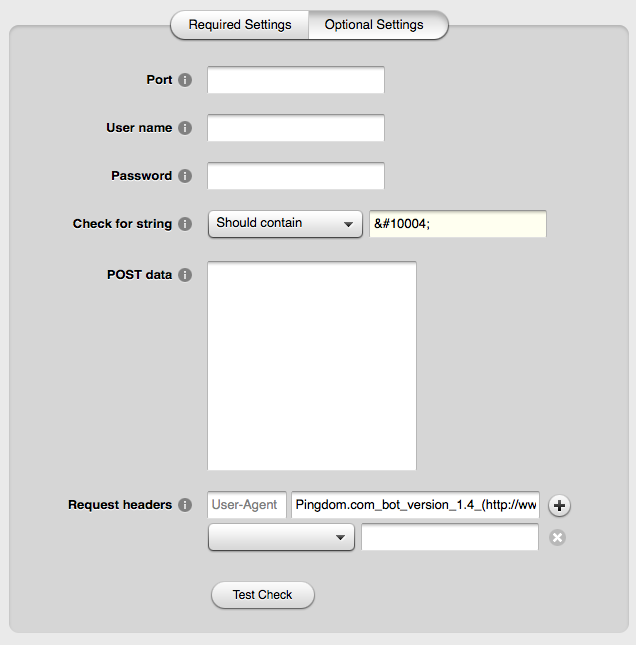 Then toggle over to Optional Settings and enter the string to search for that determines whether the database is up. In this case, we’re looking for the check mark (&#10004;). Now click the Create Check button at the very bottom to add the check. If the server and database are up, the check mark will appear and Pingdom will report that everything is OK. If an x appears or the server goes down, Pingdom will send you an alert (if you selected that in step #3 under Notifications). Thanks for writing this. I’d been having the same issue with my DigitalOcean VPS servers. I was able to replicate this using StatusCake (paid plan for string matching) instead of Pingdom. Nice– glad that worked for you! Le hice unas modificaciones para que mostrara 200 si todo va bien y 500 si va mal. Ahora lo tengo en una red de clusters en varias regiones. Testeado con Route 53 health.